19th January 2016, Singapore – With Chinese New Year just around the corner, families in Singapore are in for a treat. Deliveroo, the on-demand premium food delivery service, is kick-starting the festive season with its 88 Golden Ang Baos promotion! Not one to monkey around this Chinese New Year, Deliveroo will be spreading wishes of prosperity to its customers by giving out 88 Golden Ang Baos worth $88 each to 88 lucky winners. As 88 is traditionally regarded as an auspicious number, the promotion represents the service’s heart-felt wishes of fortune, wealth, and success for their customers, symbolizing prosperity to come. Drawing inspiration from Willy Wonka’s The Golden Ticket giveaway, the Golden Ang Baos will be randomly dropped into the Rooman or Roowomen’s delivery bag before one picks their order up. When the customer pick their food from the delivery bag, they will be delightfully surprised to receive the Golden Ang Baos worth $88 each. The promotion will run from January 22 to February 7, in all eleven areas that Deliveroo currently delivers to. Redemption details will be printed on the ang bao. A London based start-up launched in 2013 by William Shu and Greg Orlowski, Deliveroo is an on-demand premium food delivery service that brings meals from a wide selection of independent and high-quality chain restaurants right to customers’ homes or offices, in an average time of 32 minutes. With the use of Deliveroo’s proprietary technology and logistics platform, high quality restaurants are now able to offer delivery to their customers. Deliveroo has had more than 300 restaurants join the family in Singapore, including Cedele, Chopsuey Cafe, Kinki Restaurant, Meat Liquor, Potato Head Folk and PS. Cafe to name a few. 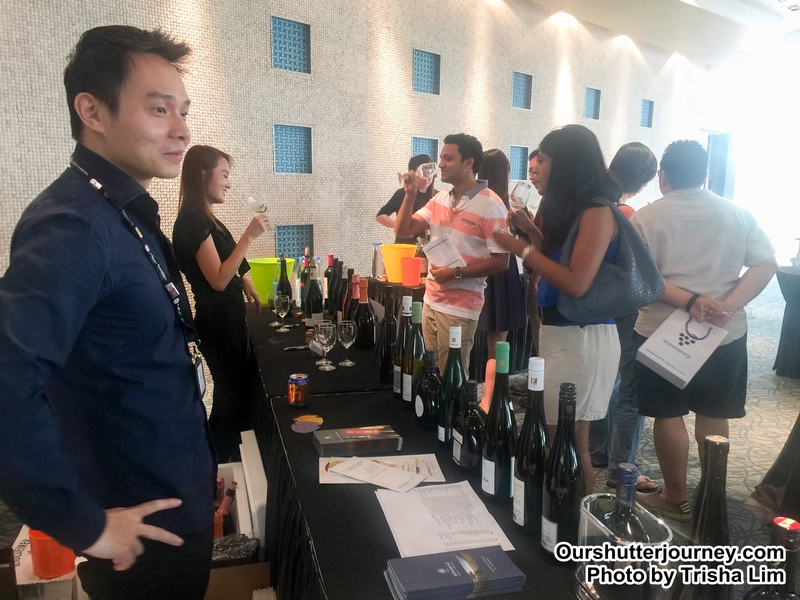 17th October 2015, Singapore – Schmidt Vinotek had made a strong statement to local wine connoisseurs that they are here to stay! 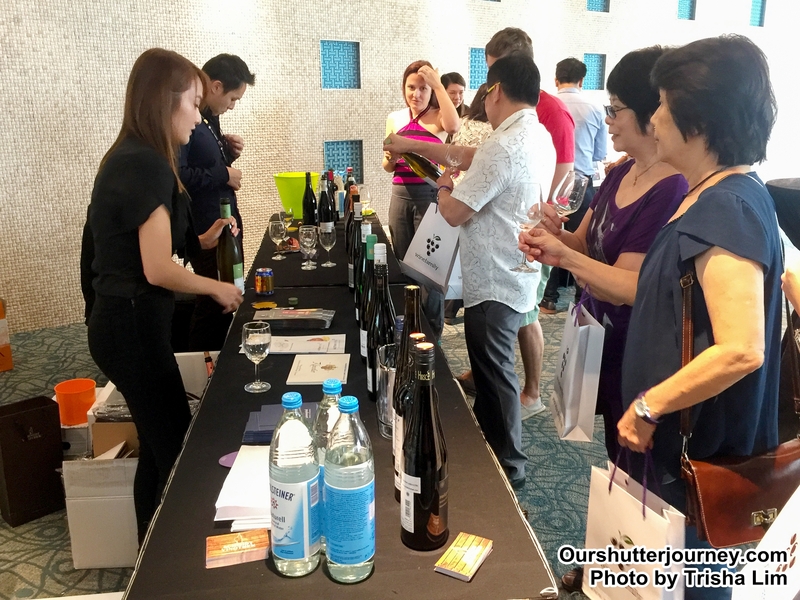 As one of the world’s well-known wine distributor who majors in German Wines, Schmidt Vinotek recently entered Singapore market and created more options for wine fans in Singapore. The company also distributes Austria and Sweden wine alongside with hand-picked Italian and Hungarian wine offering the wine connoisseurs a pampered list of choices. 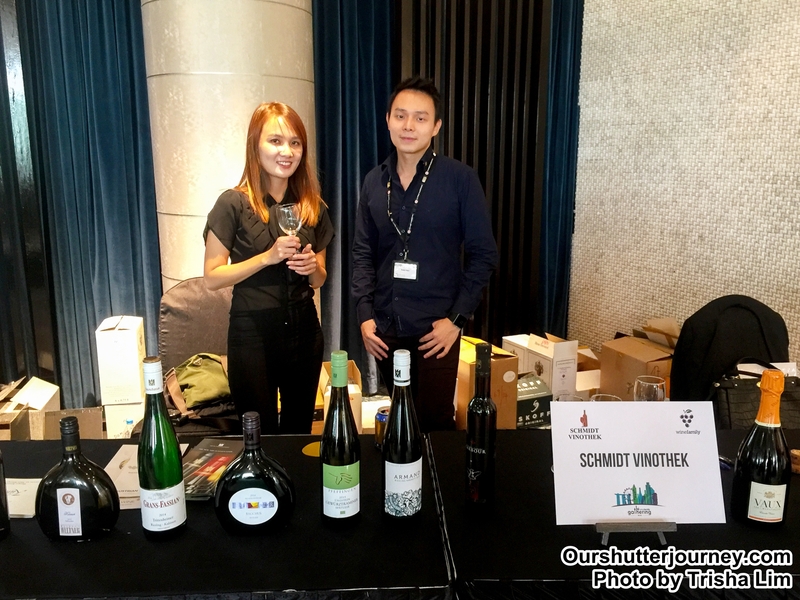 Recently at The WineFamily Gathering 2015, held at Singapore Flyer, Singapore, Schmidt Vinotek showcased their selection at the event and had received excellent accolades from the attendees to the event. Attended mainly by wine connoisseurs, restaurant & hotel owners, celebrities and country ambassadors, the event also attracted many wine fans and tourists. It is no doubt the most visited wine table (Booth) at the event. 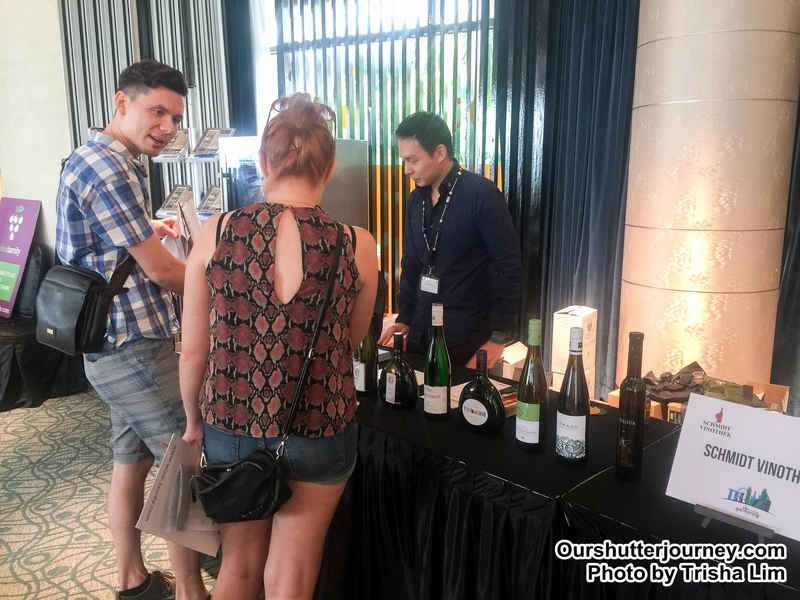 The company is well established in Hong Kong being one of the most popular German Wine company with 3 upmarket outlets and the company is looking to duplicate the success here in Singapore. What came as a surprise was, there are far more German wine fans than expected. If you had not tasted German wine or had not sampled German wine for the last decade, it’s time to do soon. German wine today packs more flavor than what it was known before – raw and lacking of character. And trust us, you will be pleasantly surprised – by German Wine. Do keep yourself updated by Liking Schmidt Vinotek’s Facebook Page here. And continue to be “Wein Surprised”! 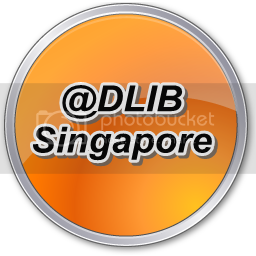 Adlibrary Singapore is NOW managed by Ourshutterjourney LLP! 14th October 2015, Singapore – Today, yes today in year 2015, when we are swarmed with hundreds of communications applications (Apps) which piggybacks on 3G/4G data network – is slowly or in fact, rapidly replacing the good old SMS. (Short Messaging Service). Real Competition – The top messaging apps today are none other than Whatapps, WeChat, Line, Tango, Viber, Skype and even the latest to join the crop are the Messenger by Facebook. 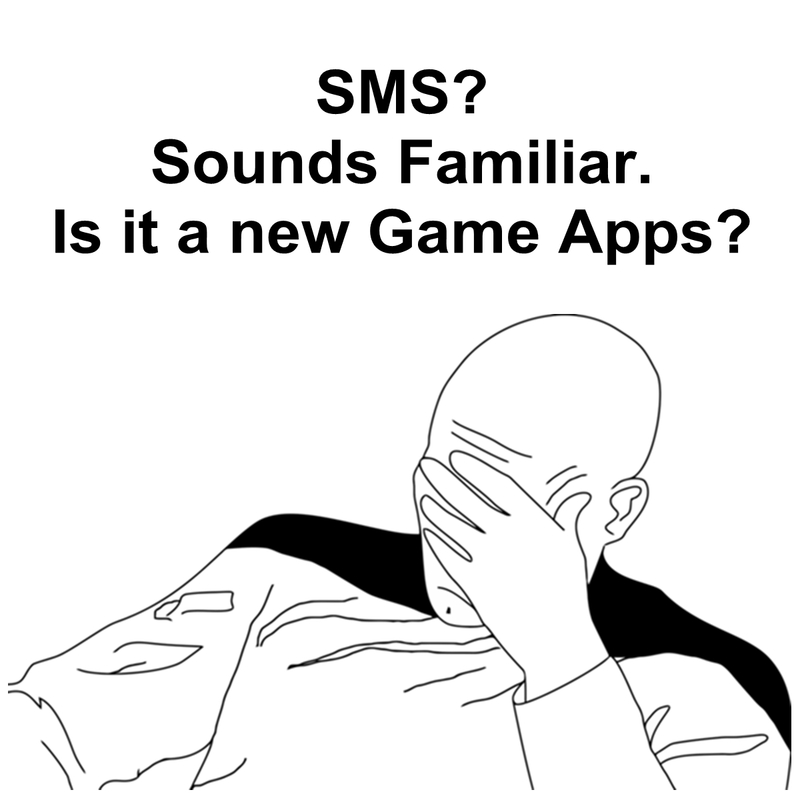 So where does SMS stands today? Now ask yourself, how many times do you really SMS a contact these days? When You received a SMS, do you look at it immediately like how you would when you received a message from the above mentioned apps? Likely people that you know or connected would have contacted you via an apps rather than sending you a SMS isn’t it? You must agree with me that such messaging culture is the trend today. 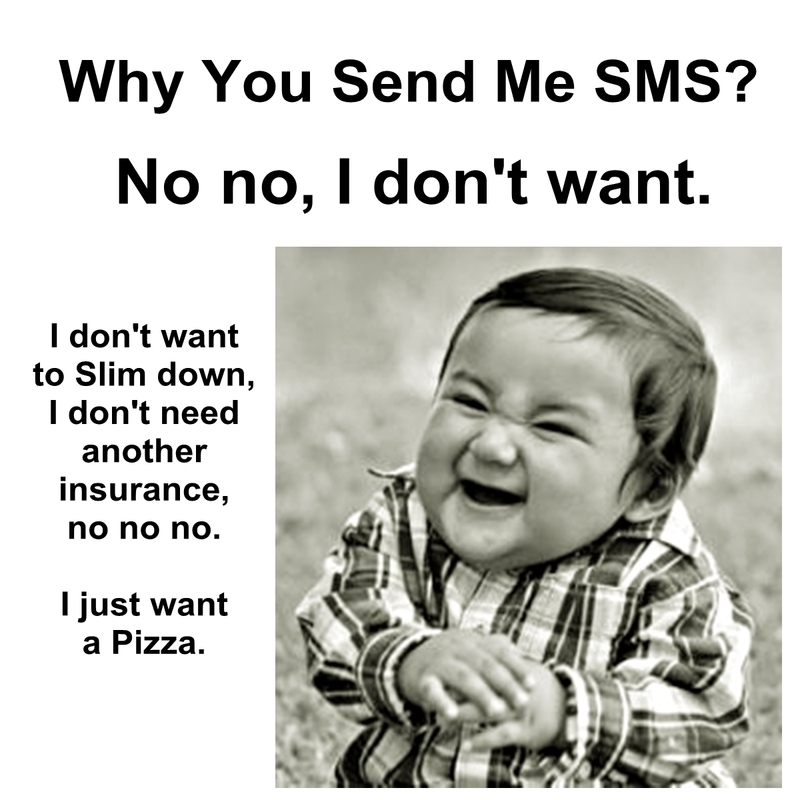 Junk Messages – Now, what about advertisements that shows up unsolicited on your SMS inbox? With today’s smart phones, sender numbers can be blocked from sending unsolicited SMS easily sending thousands of junk SMS Advertisements to thin air – now wait, those are advertising dollars paid by advertisers who seemingly were given the impression that their advertising dollar was well spent. 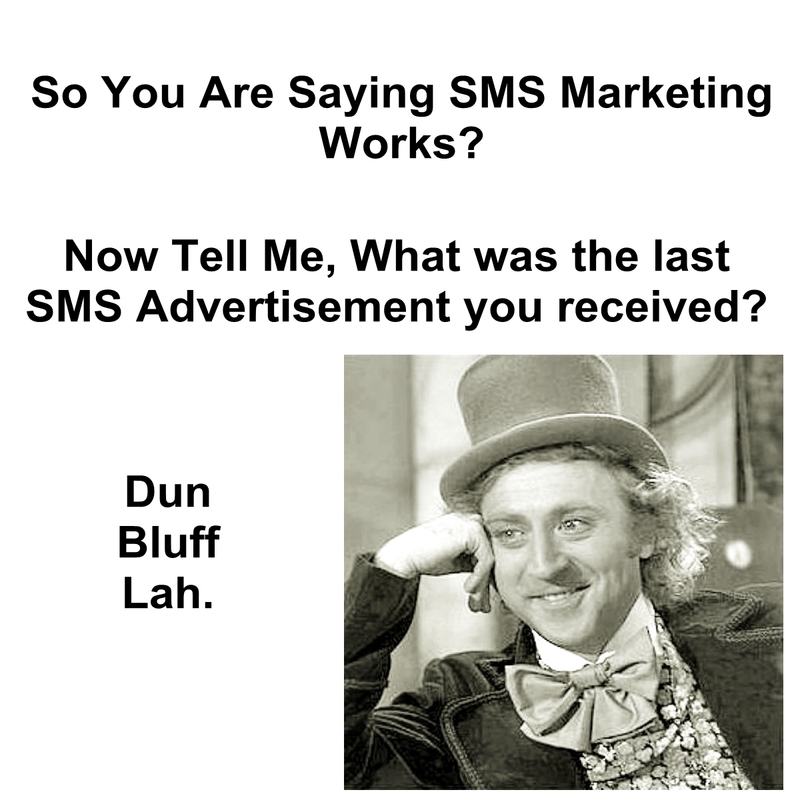 No, I am not saying that this form of advertising is not effective, I never said that – because thousands of SMSes were really sent based on the advertiser’s order, my point here is, how many of these SMSes were read by the receiver? Do you, yes I mean you, did even read a SMS advertisement from top to bottom at least once? Ok, now you are getting the drift. What people is really using these days – In my line of work, I managed to speak to a few big spenders who advertise on huge budgets and I asked them a few interesting questions and guess what was their replies? 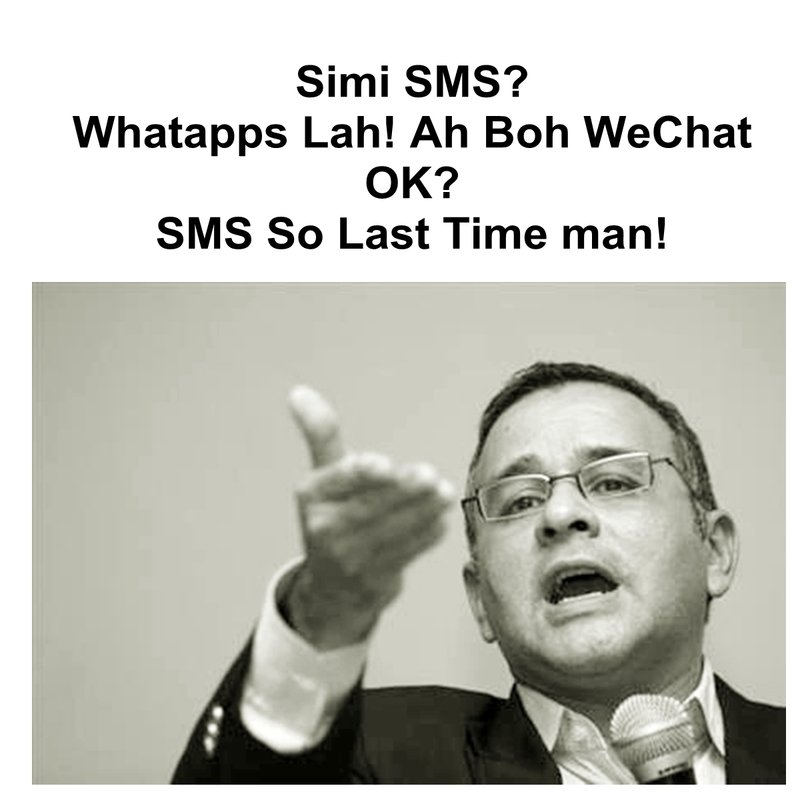 My first question was which messaging apps do you use the most, and all given me the same answer – Whatapps. And when I asked which messaging apps on their phones that they use the least and all replied SMS. Now this is sick isn’t it, these advertisers themselves do not believe in using SMS and they spend money on SMS marketing, the irony of trade. Impressive mechanics but no one is reading – It is always impressive to listen to how SMS Marketing companies present their pitch. You were made to believe that you are able to send unsolicited SMSes to specific locations, to specific demographics at specific time & date etc. Well, technology being technology, it is possible to achieve what these companies had claimed – but my point rolls back to the top – will anyone even read? The Same culprits – To add to the irritation, personally I am already irritated by the phone marketing people who had been calling me at the wrong time to sell me the wrong products which I am not interested in. If you live in Singapore, you are likely to have received cold calls at least once from Insurance Companies, Banks trying to sell you Insurance or Credit Card, Slimming Centres, Property Agents, MLM etc. After the DNC (Do Not Call) Registrar was set up following complaints from the public, many of these companies had switched to SMS marketing. The irritation continues as now, you are likely to receive unsolicited SMS advertisements from Insurance Companies, Banks trying to sell you Insurance or Credit Card, Slimming Centres, Property Agents, MLM etc. Marketers, before you buy up an advertising package for SMS Marketing, ask yourself these questions. 1) Do you even read unsolicited SMS Advertisements? 2) Did you delete the unsolicited SMS immediately? 3) Have you tried blocking these sender numbers? 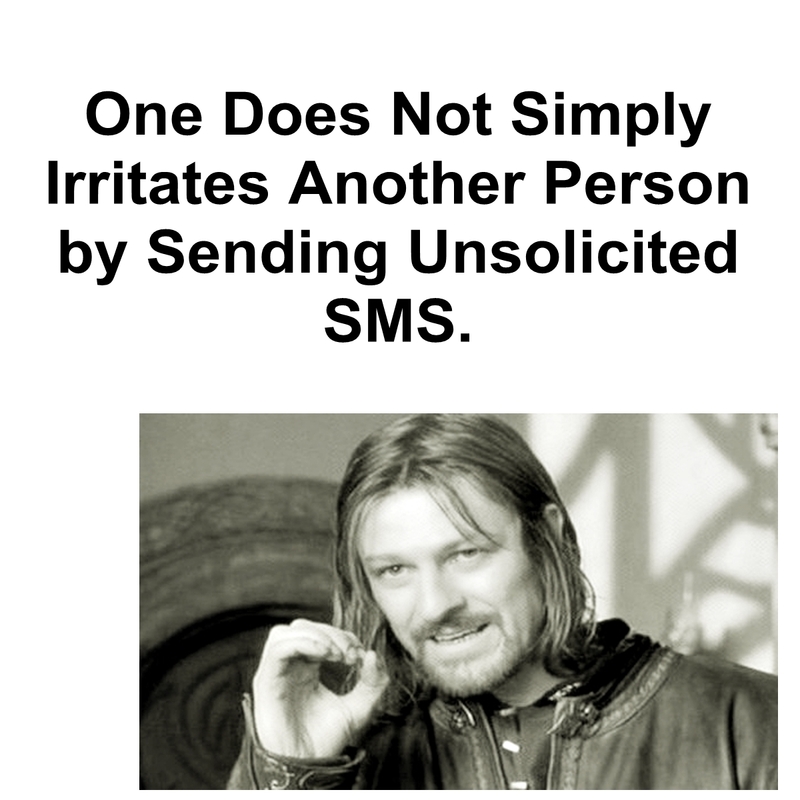 4) Will you even buy anything, just anything from unsolicited SMS? OK, now sign on that Advertising Order for 3,000 SMSes to be sent to your desired audience. The views and notes presented is solely the author’s personal views and no SMS marketing company was emotionally hurt with this article. 16th September 2015, Singapore – Powered by Tagit, RHB wins “Best Card Loyalty Program” Award at the Cards & Electronic Payments International Asia Summit & Awards 2015, which recognises the best in the banking & finance industry. Over the past few years, mobile penetration has continued to gather speed across the world, with Asia Pacific boasting some of the highest adoption rates in the world. There is a drastic change in consumer behaviour and how people are using their mobile devices on-the-move, as part of increasingly busy lifestyles. Customer’s expectation about their bank has also changed; they want to manage all their banking offerings on the go. Promotions and deals offered by banks have been in the market for a reasonable amount of time. However, customers were not able to use it to its full extent. Locating and tracking deals was a tedious job. Even when you buy a deal, redeeming it using paper coupons would be cumbersome. Similarly tracking and recalling which discount privileges were available at which location was also a hassle. The new RHB Lifestyle mobile app changes the way customers manage and redeem their coupons and deals offered by the bank. Using this innovative app, RHB customers can purchase coupons online and redeem them by scanning the merchant’s QR code using their smartphone. RHB customers can also take advantage of deals and privileges using the innovative augmented reality feature to locate nearby deals, ATMs or RHB branches and share deals and coupons instantly via social media. App users can also send and receive gifts between them. The app is available for all RHB bank customers. The bank plans to add online coupon redemption and push notifications in its next release and credit card redemption in the near future. According to World Bank, Malaysia, with 140 per cent mobile penetration, is leading Indonesia, Thailand and even United States. There are more than 10 million smartphone users in Malaysia. Tagit is a leading digital solution provider to some of the world’s largest banks and enterprises across the globe. Tagit has an extensive portfolio in delivering key Mobile Applications. Millions of users across the globe use Tagit’s applications every day. Tagit’s mobility platform “Mobeix” enables clients to rapidly launch innovative mobile applications by configuring once and deploying across multiple mobile devices and operating systems. Built on a highly secure and scalable architecture, the solution has been deployed at market leaders in the region and globally. The RHB Banking Group is the fourth largest fully integrated financial services group in Malaysia. The Group’s core businesses are streamlined into three main business pillars, namely Group Retail and Commercial Banking, Group International Business and Group Corporate and Investment Banking. These businesses are offered through its main subsidiaries -RHB Bank Berhad, RHB Investment Bank Berhad, RHB Insurance Berhad and RHB Islamic Bank Berhad, while its asset management and unit trust businesses are undertaken by RHB Asset Management Sdn. Bhd. and RHB Islamic International Asset Management Berhad. The Group’s regional presence now spans ten countries including Malaysia, Singapore, Indonesia, Thailand, Brunei, Cambodia, Hong Kong, Vietnam, Lao PDR and Myanmar. It is RHB Banking Group’s aspiration to continue to deliver superior customer experience and shareholder value; and to be recognised as a Leading Multinational Financial Services Group. 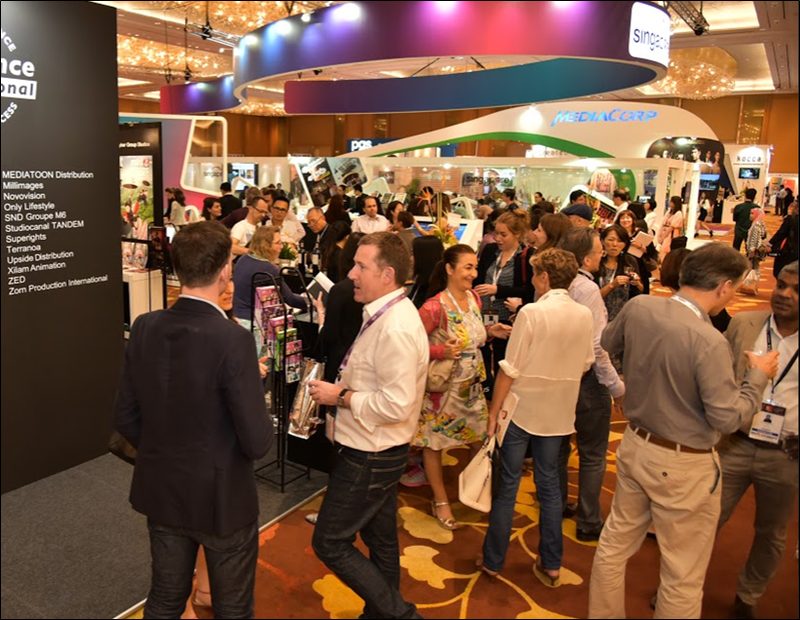 23rd July 2015, Singapore – Asia’s leading television and film event, the Asia TV Forum & Market (ATF) and ScreenSingapore (SS) will return once again this 1 – 4 December. Hosted at Singapore’s Marina Bay Sands, the must-attend event for the Asian entertainment content industry will bring together international industry players from the TV and film industry to buy, sell, finance, distribute and co-produce across platforms. With last year’s edition showcasing over 71 speakers and 658 exhibitors, 2015’s ATF & SS attendees can expect to be a part of the proven leading quality platform for the entertainment content ecosystem in Asia, learning and experiencing the evolution of the Asian entertainment industry. Attendees of the 2015’s Asia TV Forum & Market will benefit from the dynamically curated Market and Conference where they can tap into the growth potential of Asia’s market, experience the robust character of Asia’s entertainment content industry and connect with international content sellers and Asian buyers. Besides buying and selling of entertainment content, ATF’s conferences will feature a stellar cast of the industry’s thought leaders who will share their perspectives and expertise on the intricacies of the Asian television industry. In addition to Formats@ATF where participants learn to create, develop market ideas with industry format experts, 2015 will also see the newly rebranded Junior@ATF, which cover a wider spectrum of genres for kid’s content where leading commissioners, financiers and buyers can uncover talent and new kid’s content. As Southeast Asia’s definitive marketplace for filmmakers, producers, distributors, financiers and film buyers, attendees of 2015’s ScreenSingapore can look forward to more insightful sharing sessions, co-production and financing opportunities through the conference and market. With an estimated 4,800 attendees across 60 countries last year, the 2015 edition of the ATF and SS promises to see an even bigger turnout, so be sure to get your tickets before 31 July and don’t miss this opportunity to experience the future of Asian Television. Stay tuned for the line-up of top industry speakers and exciting programmes on www.asiatvforum.com and www.screensingapore.com.sg in the upcoming months. Asia Television Forum & Market (ATF) and ScreenSingapore (SS) is a must-attend international event for the financing, co-producing, buying and selling of TV and film entertainment content across all platforms. Bringing together international content sellers and Asia Pacific buyers, ATF and SS provide the gateway to making an impact on Asia’s entertainment content business. Showcasing the robust and intricate workings of Asia’s expanding content entertainment industry, the ATF & SS 2015 will lead industry players into the heart of the evolution of the industry. Reed Exhibitions is the world’s leading events organiser, with over 500 events in 43 countries. In 2014 Reed brought together over seven million event participants from around the world generating billions of dollars in business. Today Reed events are held throughout the Americas, Europe, the Middle East, Asia Pacific and Africa and are organised by 41 fully staffed offices. Reed Exhibitions serves 43 industry sectors with trade and consumer events and is part of the RELX Group plc, a world-leading provider of information solutions for professional customers across industries. HONG KONG, CHINA – Media OutReach – 25 June 2015 – Strategic Public Relations Group(“SPRG” or the “Group”), one of the largest public relations networks in Asia, is pleased to announce that Mr Richard Tsang, Chairman of SPRG, has been included in “PRWeek’s 2015 Global Power Book”, which outlines the top 500 most influential professionals in the PR world. Richard becomes the only agency owner in Hong Kong to be included in the listing. His accomplishments and contributions to the industry have therefore been recognised by PRWeek once again, having been included in the “Asia Power List 2014 – The 50 Most Influential People in PR”. Richard is an investor relations/PR veteran with over 25 years of industry experience in Asia. At the age of 29, he founded a boutique consultancy specialising in financial communications in Hong Kong. Under Richard’s leadership, SPRG successfully branched out, becoming an integrated public relations group with 300 professionals working from nine offices in Hong Kong, Beijing, Shanghai, Guangzhou, Taiwan, Singapore and Malaysia. Within 20 years time, SPRGhas transformed into an award-winning agency. Richard is a frequent speaker at international forums and seminars, offering his insights on a wide range of topics, including investor relations, brand communications and marketing, reputation management, media relations, and issues and crisis management. In so doing, he has helped raise the stature of the PR industry. Correspondingly, Richard has been honoured with over 10 accolades in recognition of his professionalism. He was the winner of the 2003 “Young Entrepreneur Award”, a constituent of the DHL/SCMP Hong Kong Business Awards; a recipient of “The Excellence in Achievement of World Chinese Youth Entrepreneurs 2009” title from the Yazhou Zhoukan and World Federation of Chinese Entrepreneurs Organisation; and awardee of the 2012 Asia-Pacific SABRE Award for“Outstanding Individual Achievement”, becoming the first Chinese individual to receive such distinction. Indicative of his positive impact on the communications industry and business community as a whole, Richard has been elected Incoming Chairman of Public Relations Organisation International (“PROI Worldwide”), and will be leading the world’s largest independent PR network from 2016 to 2018. Aside from this important chairmanship, he also holds over 50 board, committee and advisory positions in the business, education, religion and social welfare spheres. Strategic Public Relations Group (SPRG) is one of the largest public relations networks in Asia and the largest public relations consultancy in Hong Kong. SPRG is an integrated public relations group and an investor relations and financial communications specialist. It has 300 professionals working from nine offices in the region. Through its own offices and affiliation with a global public relations network, SPRG can assist clients to access more than 110 cities around the world. The World PR Report ranks SPRG plus the other 74 global independent agencies within PROI Worldwide as the 5th largest network in the world by net fee income.